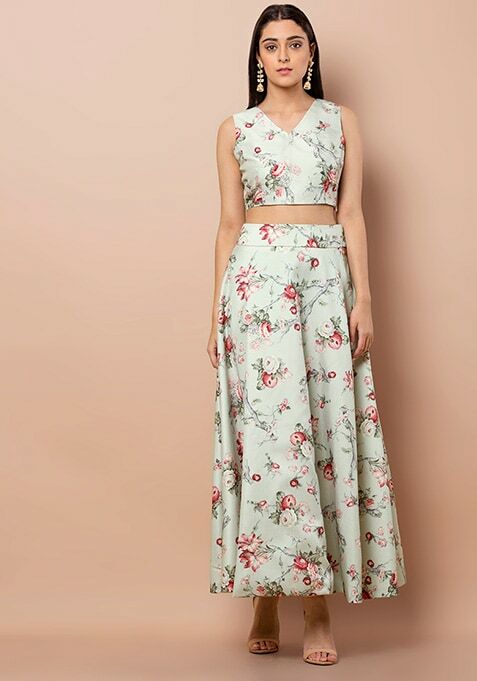 Get ready for your friend's big day in this blue maxi skirt that features gorgeous floral print. Featuring concealed zip and hook and eye closure. Work It: Style this maxi skirt with a matching crop top and a contrast net dupatta for a day-time ceremony.